Hometown: Hillsborough, New Jersey, U.S.
Unit: First Army Division East, Fort Meade, MD. Lt. Col. Francis S. Strzelec, 57, passed away April 13 and was remembered for his life as a civilian and a Soldier. 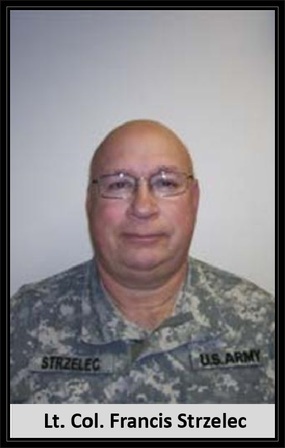 Strzelec was at Fort Meade while on active duty with the U.S. Army. Strzelec was mobilized in July 2005 with Task Force Edison, 1st Brigade, 78th Division, Fort Dix, N.J., in support of Operation Enduring Freedom. 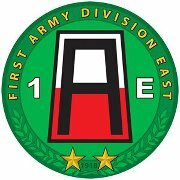 His most recent place of duty was at First Army Division East in the G3 section. Strzelec was born on Nov. 20, 1949, in Perth Amboy, N.J. He received a bachelor's degree in chemical engineering from the University of Dayton in 1971. In 1976, Strzelec received his MBA from Rutgers University in Newark, N.J., and later completed his course work for a master's degree in environmental science at Rutgers. Before his mobilization, Strzelec was employed by U.S. Metals, CP Chemicals, Penick Corp. and Phillip Brother's Chemicals. He enlisted in the U.S. Army Reserve in 1971, and then received his commission as a second lieutenant in 1983. His military awards include a posthumous Meritorious Service Medal, Army Commendation Medal with two Oak Leaf Clusters, Army Achievement Medal with two Oak Leaf Clusters, Global War on Terror Service Medal, National Defense Service Medal, Army Reserve Components Achievement Medal, Armed Forces Reserve Medal with Gold Hourglass and "M" Device and Army Service Ribbon. He is survived by his wife, Kathleen, son Daniel and daughter Alicia. Strzelec was buried with full military honors at Resurrection Cemetery in Piscataway, N.J.
During the memorial ceremony, Strzelec's memory was honored through readings and stories. John Reed, a member of the division's G-3 section, read a tribute to Strzelec. Reed reminded the attendees they were there to celebrate, not mourn, Strzelec's life as a Soldier and Christian. Chaplain (Lt. Col.) Rod Lindsay, First Army Division East's chaplain, told the crowd how proud he was of Strzelec's service to the nation in general and to the Army in particular. "He had unswerving commitment and pushed himself to the limits," Lindsay said. "His sheer determination and perseverance is unmatched; he gave it his all to the very end, now that's motivation." To conclude the ceremony, a roll call was held. After Strzelec's name was called numerous times with no response, a 21-gun salute followed by taps answered for him.